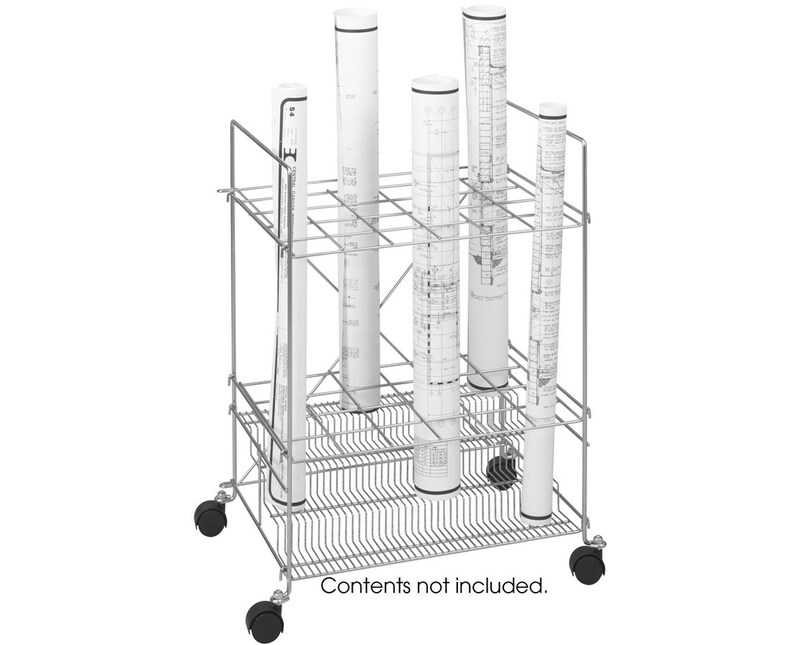 The Safco Chrome Wire Roll File is a storage solution for blueprints, maps, and other rolled large files in a grandstand design. It has four 1½ inch swiveling wheels with side handles for easy movement. It has 24 wire compartments that are 3 inches square and a weight capacity of 100 pounds. This wire bin file’s grandstand design separates rolled files into different tiers to make them convenient to access and organize. 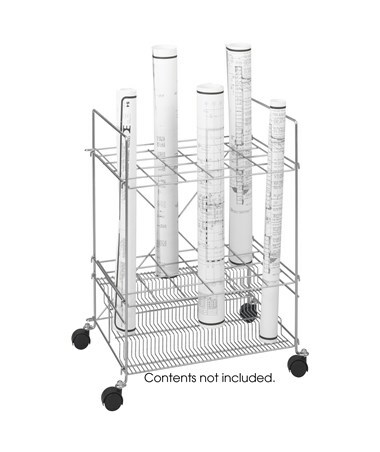 With the drop in base and grids and unfold style, this roll file storage is easy to assemble. 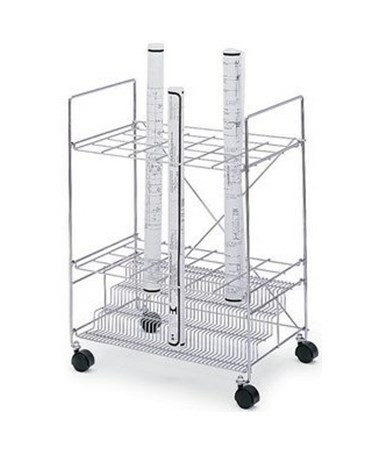 This wire roll file is made of heavy-gauge steel rods with a chrome finish. It is Greenguard certified for low chemical emissions and is NSF listed for public health and safety standards.